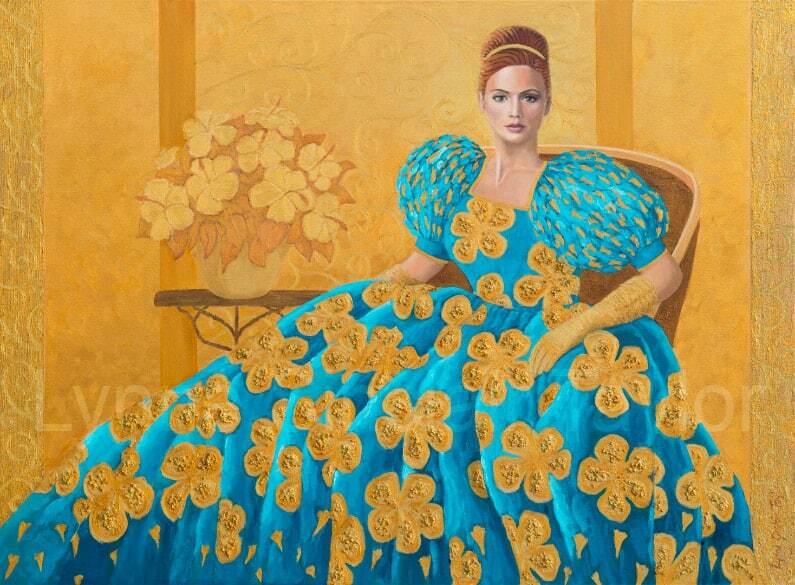 I love painting with gold paint and this work also has a beaded texture on her gown. It is one of my female studies in my ‘gold’ series. She represents royalty.